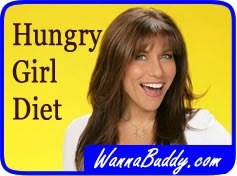 Lisa Lillien has been writing under the moniker "Hungry Girl" for more than a decade. She has leveraged her brand into an array of cookbooks and TV shows on two networks. Her focus has always been on cooking good food for real people. Only recently did she turn her attention to weight loss. That attention resulted, of course, in a diet book, called The Hungry Girl Diet. After her recent obligatory visit to the Dr. Oz Show, her diet and her book are now sweeping the nation. Lillien says that the secret of her weight loss plan is that there is no secret. By eating healthy, calorie-sparse foods in quantity, you can lose weight while feeling full all the time. 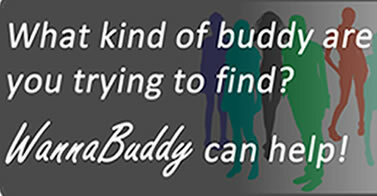 She sees her plan as more of a lifestyle than a limited-time diet. That may be the best secret of all! The Hungry Girl Diet is simple, tasty and might even work. Lillien breaks her plan down into a few, easy rules. Her first rule: east a high-protein breakfast every day. Never skip breakfast! She recommends at least 20 grams of protein, with lots of fiber and not a lot of fat. Think yogurt with fruit, or eggs with toast. Choose carefully and you can stay within her 300 calorie guideline. The Hungry Girl second rule is to Supersize your portions. This counter-intuitive rule is all about avoiding hunger. The secret that makes Lillien’s rule work is swapping out calorie-dense foods and substituting in calorie-sparse, yet nutrient-rich vegetables. That means lots of nutrition, lots of fiber, lots of bulk in the stomach, but not too many calories. You feel full, so you’re not tempted to cheat. Speaking of cheating, the Hungry Girl Diet rule number three is amazing: have three snacks a day! These snacks should be high in fiber and protein and (you guessed it) low in calories. Each snack is allocated 100 calories. Lillien believes that anyone who follows her Hungry Girl Diet for four weeks will lose 10 pounds. Then, she recommends tailoring her guidelines to individual tastes and lifestyles to form a way of eating for the rest of your life. Never be a hungry girl again!